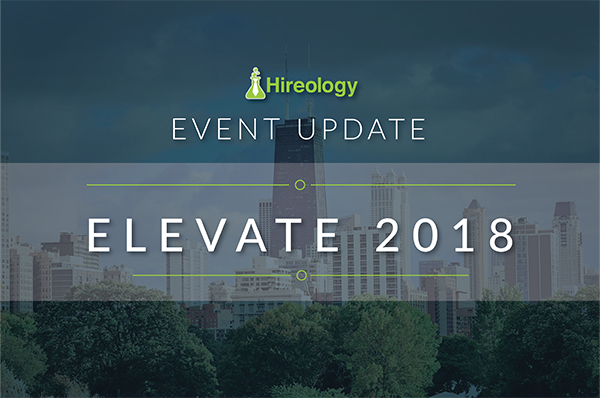 Hireology is excited to announce our second annual retail automotive human capital management summit, Elevate, which will take place in Chicago on October 2, 2018. Between decreasing profit margins, increasing regulations and disruptive business models, dealers need to find new ways to remain profitable and now recognize the importance of turning their employees into a source of competitive advantage. The demand for human capital strategy is here. The time is now. Elevate 2018 is the only event focused solely on retail automotive human capital management and will bring together 250+ retail automotive HR leaders, along with their General Managers and Dealer Principals, to discuss strategy and tactically build their 2019 human capital management plans. A provided Human Capital Management Playbook will guide the day’s discussions. Elevate 2018 will focus on industry trends surrounding human capital, assess competencies, identify gaps and formally develop 2019 human capital management plans. Audience members will glean insights from their peers and industry thought leaders in both large- and small-group discussions, and all will be encouraged to actively share their unique experiences. This year’s event will also include breakout sessions, offering attendees the opportunity for human capital discussion in a smaller, more focused setting. More speakers will be announced soon and additional industry thought leaders are welcome to sponsor the event. Please reach out to Kristin Tschantz (ktschantz@hireology.com) to learn more. Elevate is the premier conference for human capital transformation in retail automotive. Attendees will leave with immediately actionable insights and a unique plan to drive profitability and build the best team of dealership employees. Elevate will take place on October 2, 2018 at the Sheraton Grand Chicago, 301 E. North Water Street in Chicago, Illinois. The event will kick off with an evening reception on October 1, followed by a full day of human capital management collaboration on October 2. Click here to learn more, purchase tickets and receive an early bird discount when you register by June 1.